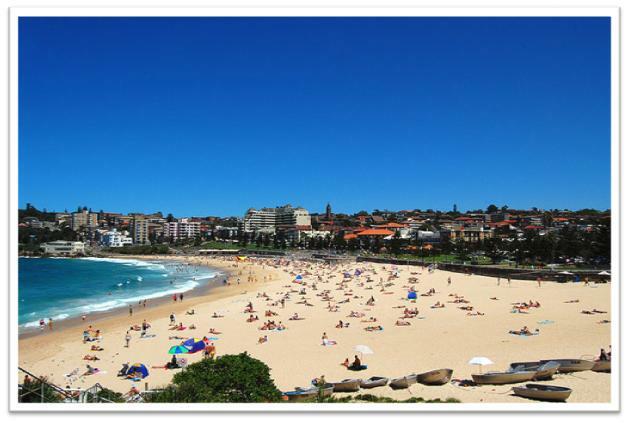 3 best beaches in Sydney! Summer is coming to an end, and the rain and unpleasant drop in temperature has started to rear its ugly head. Whilst you still can enjoy what’s left of the summer I highly recommend that you make the most of the fantastic location of the WorldMark Sydney Resort and its close proximity to 3 of the best beaches in Sydney! Born and bred in Sydney for most of my life and being a local eastern suburbs girl, I am naturally a little biased when it comes to compiling a list of Sydney’s best beaches however; I am more than happy to hear what your suggestions are and what you thought of my selection! The Best of the Best Coogee Beach is a crowd favourite! 1. 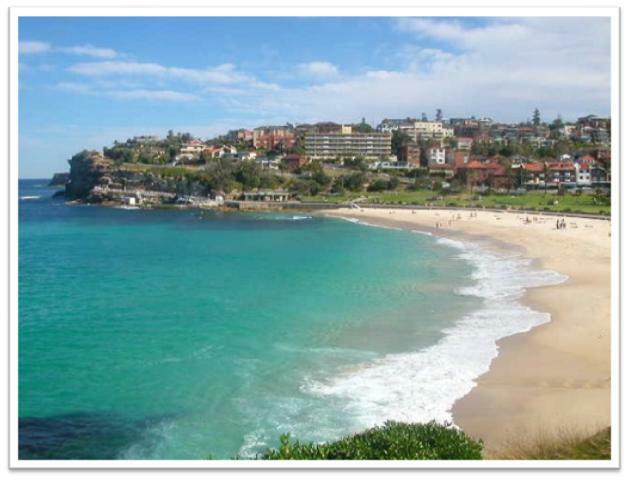 Coogee Beach – My number one favourite and once my home! A beautiful eastern suburbs beach located 8kms from the CBD and the WorldMark Sydney Resort. Bus services commute regularly from Sydney city and conveniently take you right in front of the beach! Coogee is a bay which is sheltered from rough seas by Wedding Cake Island, a rocky reef about 800m off the southern headland. The beach has two man made rock pools at the southern end which are great for children and families and the northern end leads to the old Giles baths which is a natural open rock pool carved out of surrounding rocks! Coogee is also special because it is always bustling with people enjoying the wide selection of shops, cafes, restaurants and of course the famous Coogee Bay Hotel all within easy walking distance from the beach. Bronte Beach is a locals favourite and we like it that way! 2. Bronte Beach – North of Coogee and still on the east side, Bronte is located approximately 10kms from the city, or a quick bus ride from Sydney railway station. You could say that Bronte is a favourite with the locals, whilst it’s extremely popular ‘bigger brother’ Bondi is further north up the road busy entertaining the bus loads of tourists and the film crews taping new live footage for Bondi Rescue! Bronte is hugged by the headlands and features a 30 metre ocean pool at the southern end of the beach. One of the most favourite features about Bronte is that it is surrounded by a perfect and extremely popular picnicking park. It is quieter and less pretentious than Bondi, providing a perfect place to relax, unwind, enjoy lunch, at one of the many cafes, or better yet, take it down to the each and eat on the shore. A day in Manly presents a fun-filled, action packed adventure! 3. 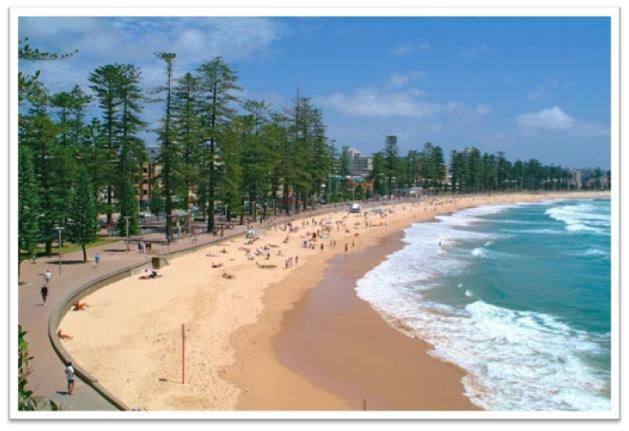 Manly Beach – ok, so my third best beach suggestion is on the North side of Sydney, and as much as I don’t like giving credit to the Northern Beaches, Manly does deserve a mention! Manly is a perfect day excursion from the WorldMark Sydney Resort, just a short walk down to Circular Quay and a 30 mins trip on the Manly Ferry. It is a fun journey with a superb vantage point to see the spectacular city of Sydney from all angles! Once you step onto the Manly wharf it is bursting with a hype of activity with modern and uber cool restaurants, and for the kids offers an aquarium! As you continue walking through the Manly Corso there is a wider selection of restaurants, stylish bars, night clubs, shops, cafes, take away outlets, and of course the famous Hotel Steyne. Manly does really cater for all desires and oh yeah has a pretty stunning beach with a long promenade stretching the entire length of the beach surrounded by impressively tall pine trees. What are your favourite Sydney beaches?